Hexploitation Film Festival: Hamilton Zombie Short Film Festival -- CALL FOR SUBMISSIONS! 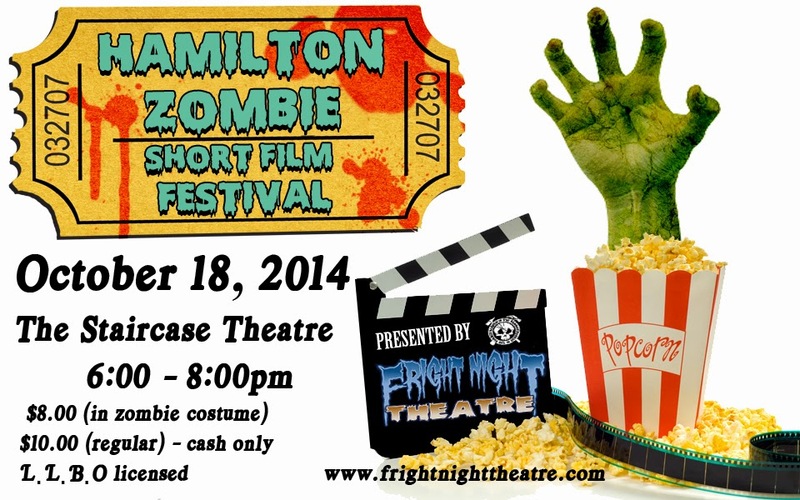 Hamilton Zombie Short Film Festival -- CALL FOR SUBMISSIONS! Fright Night Theatre is proud to announce that it will be presenting the 2nd annual HAMILTON ZOMBIE SHORT FILM FESTIVAL (HZSFF) as part of this year's Hamilton Zombie Walk. 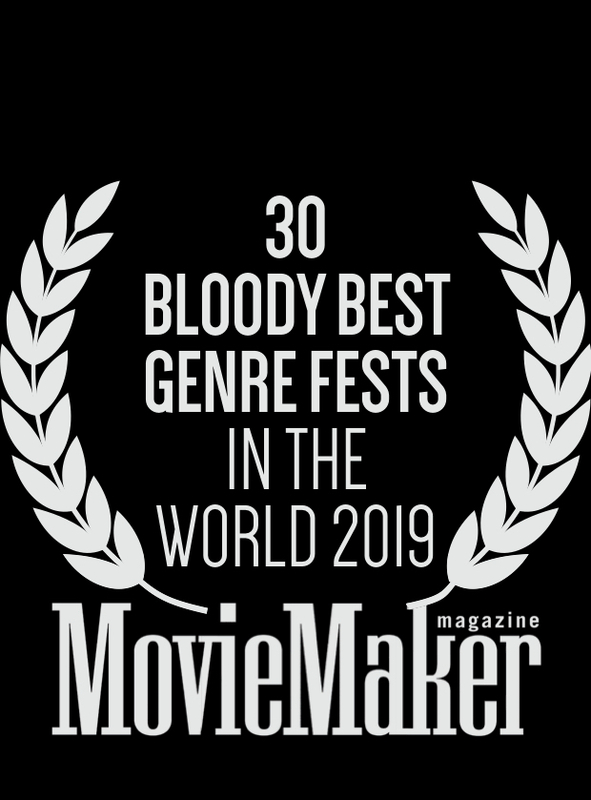 Started in 2013 for the Hamilton Zombie Walk in Hamilton, ON, the HZSFF is a competitive one-night short film festival celebrating the best in zombie short films with an audience of die-hard zombie fans and dedicated zombie walkers. 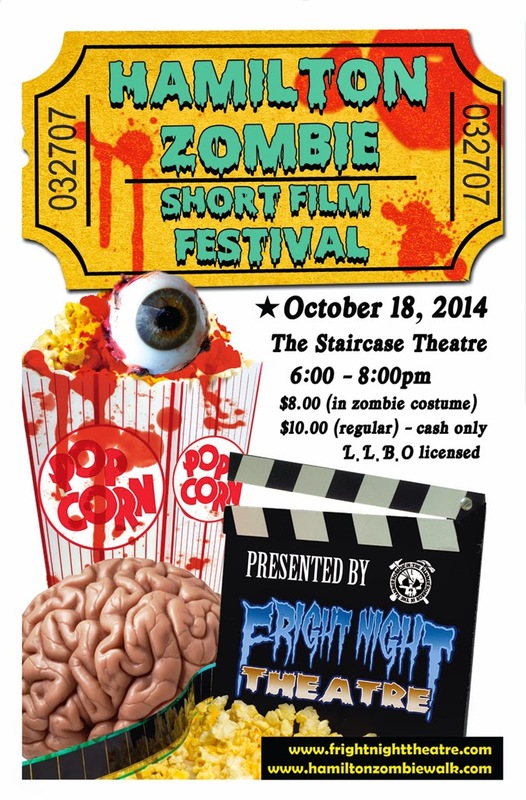 Whether they be scary, funny, or just plain gory, all films officially selected for the HZSFF will screen on Saturday, October 18th at the beautiful Staircase Theatre and will be eligible to receive award distinction in our audience Zombie Choice Awards. Click here for last year's winners. Final deadline: September 18, 2014. As with all Fright Night Theatre screenings, we charge no entry fees and maintain no premiere requirements or prior online screening restrictions. 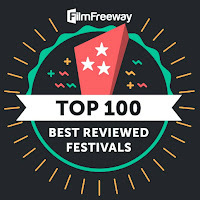 All screenings are not-for-profit and open to the public.